Yet if ifs and buts were candy and nuts we'd all have a Merry Christmas. We are where we are, and for Nico third place this time will win him everything, no matter what else happens. And when considered dispassionately that should present few problems in the normal run of things. 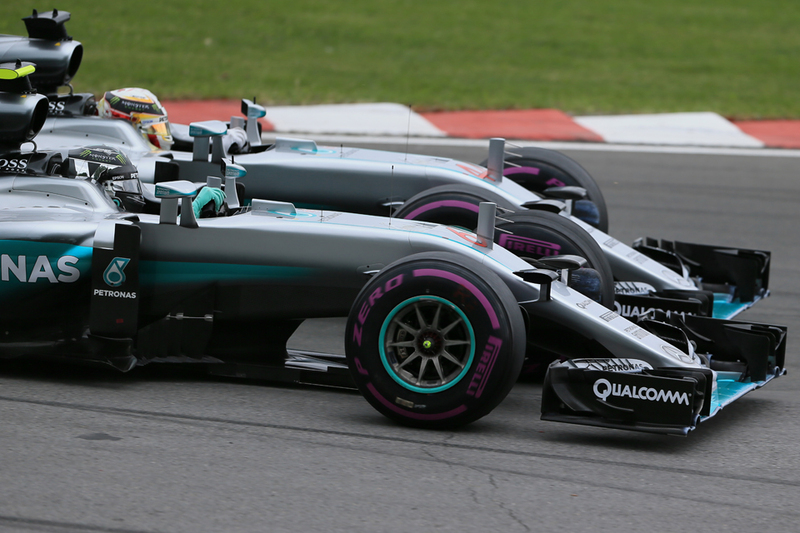 The Mercedes almost always is on top; Merc also has bagged one-two finishes in each of the three rounds before this one. This Abu Dhabi track's good for straightforward fare also. In more ways than one it's a world away from Interlagos - if Brazil's challenge possibly is the current sport's most old school this one arguably is its most modern - vast run off areas and not much in the way of conspicuous driving challenge nor notorious bear traps. As for the weather, well it takes place in the desert... In other words if Lewis needs the unusual it's not immediately clear where it will come from. Yes, you may be pointing out at this point, Fernando Alonso came to this venue six years ago in a situation about as straightforward or perhaps even more so than Nico's, and he fell foul of Vitaly Petrov and all that. Yes also, even with the typical-Tilke long straights in another typical-Tilke oddity overtaking here often is difficult. Yet these days Nico with DRS, multiple stops and other things besides will unlikely be bottled up behind a much slower rival for three-quarters of the race distance. Nico does however face a team mate in Lewis who is at the top of his form and mood, relishing seemingly his role of the chaser and pointing out almost gleefully after the last race that Nico at the peak of his pace cannot live with him at the peak of his (which, in fairness, probably is true). Then there's where we are. 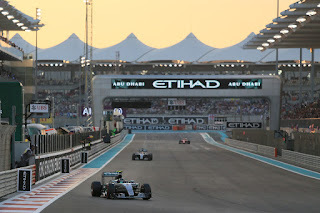 Lewis has long been considered quite the specialist at the Yas Marina track, with him tending to be mighty through the snaking, street-circuit like final sector in particular, controlling the sliding rear of the car beautifully though the repeated 90-degree type and often off camber turns with a low grip surface (sometimes with local sand on top). He's won here twice, as well as has twice more retired with a technical failure having led. He also is in the privileged position of having no consideration other than to go for it - to dominate and win the race. Nico meanwhile is the one with something to lose, and the one with choices. Conversely this position can create problems of its own - the extent to stick or twist can be a conundrum, and indeed Nico spoke in such terms after the Brazil race. He also is the one of the title fight pair short on direct experience of this peculiar challenge. Nico has only once reached a final round with the F1 title within his reach (two years ago) and then it was strictly in the long shot territory. But then again Nico does rather like confounding us, particularly when we're starting to doubt him. Many more eager eyes than just Lewis's will be on him this time to see how we reacts to it all. And his record at this track is deceptively good. 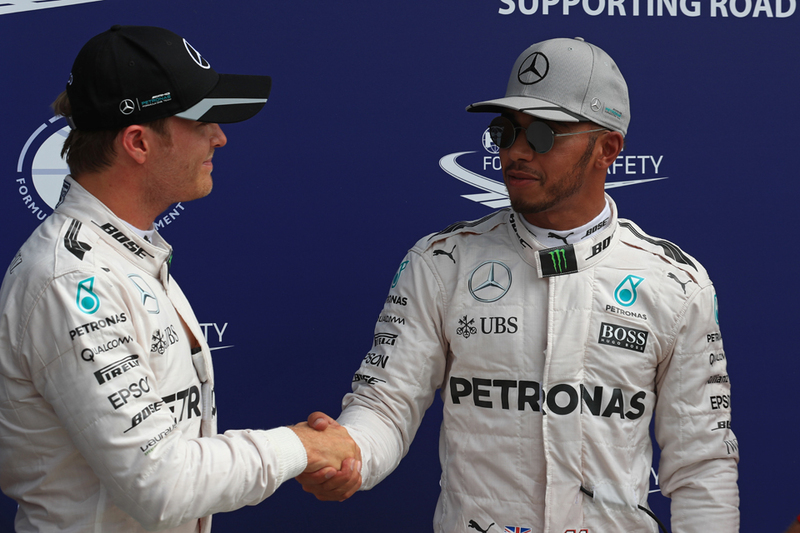 He won here from pole last season, took pole the year before (though hit technical problems in the race) and the year before qualified and finished third, and left Lewis far behind in doing so. His experience two years ago however swings a lamp onto perhaps the most likely route via which Nico could lose the title. If unreliability strikes in the race it will almost certainly decide the championship destination there and then. 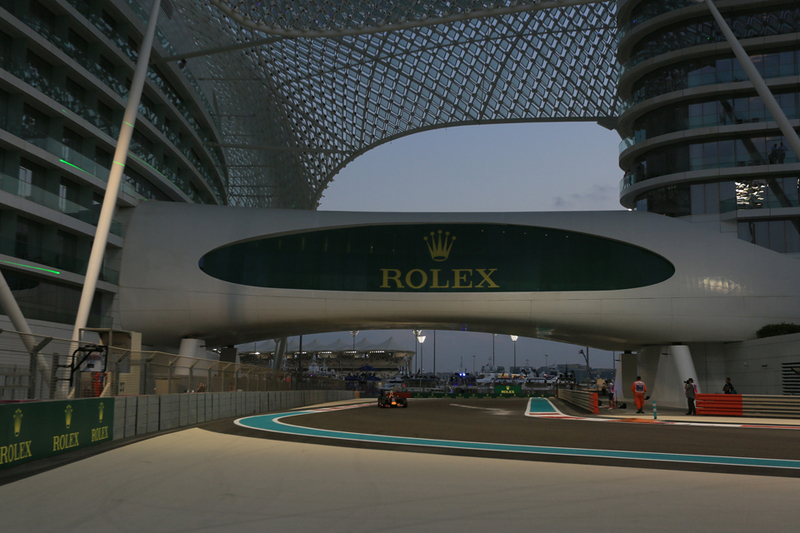 Temperatures in Abu Dhabi will be high of course (though that the race takes place in the evening, with the second part at night, helps take the edge off this), and it's at such moments that Merc breakages have been known to creep in, such as in Malaysia. Then there is that it's the season's final round when power units and gearboxes will be at the end of their life-cycles. 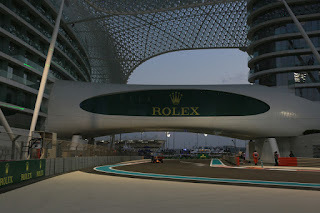 You can add to this too that the Yas Marina track is tough on engines generally. Nico will likely be listening to every noise his Merc emits this weekend with a degree of foreboding. The next most likely route to Nico being denied comes from elsewhere. From Milton Keynes, to be precise. The Red Bulls have been persistent irritants to the Mercs and particularly to Nico in recent rounds, occasionally getting ahead of him, and while the lengthy straights will be regrettable for them equally the tightly-packed corners at the start and end to the lap as well as the low grip surface mentioned, requiring good low speed grip and traction, will be right up their street. While if Max Verstappen has been warned to stay out of the title fight he shows no sign of paying heed. Ferrari should be kept in mind too as lately on raw pace at least it's been somewhere in the Red Bull ballpark and seems determined - for good or ill - to focus on what remains of this campaign so to maximise its results. Let's not forget either that Kimi Raikkonen qualified ahead of both Bulls in Interlagos. While its other driver Sebastian Vettel is another who thrives in the track's low grip challenges, as evidenced by that he's won here three times. 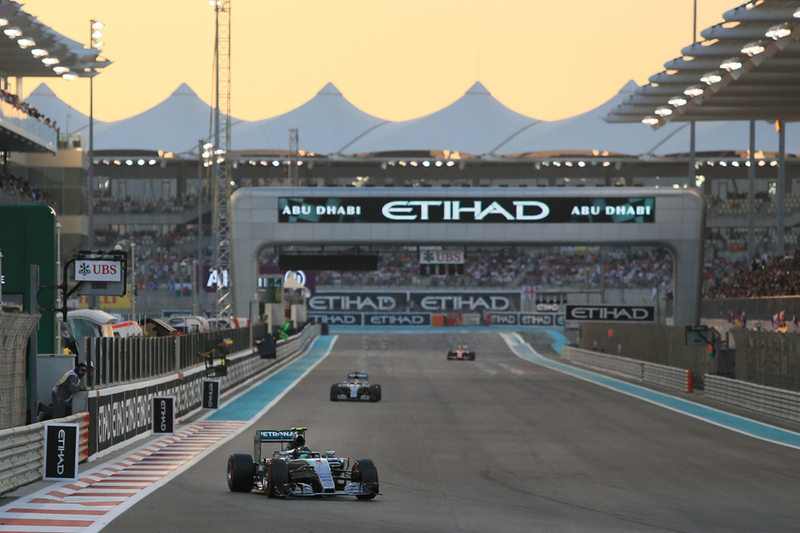 Only twice indeed has the Abu Dhabi Grand Prix not been won by either Lewis or Seb, and up until 2013 only they had taken pole here too. Further back, Force India has a good record at this circuit and last year Sergio Perez qualified fourth and finished fifth in this round. While another team worth considering is McLaren. Back in Monza Fernando Alonso spoke of which of the remaining rounds he thought the Woking machine would do well in, and he identified Abu Dhabi as the strongest of all, based on the team surprising itself with its pace at the Yas Marina track in 2015. His prediction then that they'd be "just behind" Red Bull in the final round seems fanciful, but a better than usual showing is on the cards. On strategy, two-stoppers look likely - one-stops are almost unheard of here in the age of the Pirelli and last year the three-stop was thought clearly slower and was hardly employed. It's not clear whether the ultrasoft being available too this time will change things, but in previous rounds its behaviour hasn't been too far removed from the supersoft. There still may be interest though, not least from those doing a reverse strategy of the first two stints on the harder tyre and finishing on the softer one, particularly as it suits this day-to-night race and its resultant drop in track temperature as it goes on (from roughly 30C to 19C). Vettel rose from starting P15 for finish fourth by doing precisely that last season, as did Romain Grosjean starting 18th and finishing ninth. Watch out therefore for fast cars that for whatever reason start out of position, out of the top 10, trying this and likely getting joy. This ordinarily would have implications for the ever-vital final constructors' placings, though looking at the table few last gasp switches look likely. The most probable - a relative term - is an exceptionally strong weekend for Toro Rosso (and P6 and P7 as a minimum) combined with a McLaren no score would result in sixth place changing hands. But that's the beauty of sport, we just don't know. And for the greatest prize of all in motorsport it all comes down to one race. There will be no next time; no possibility to atone. After those thousands of miles of racing mentioned this weekend, appropriately, is where for one protagonist the sun will set inevitably on their extended effort. It will be a case of so near and yet so far.